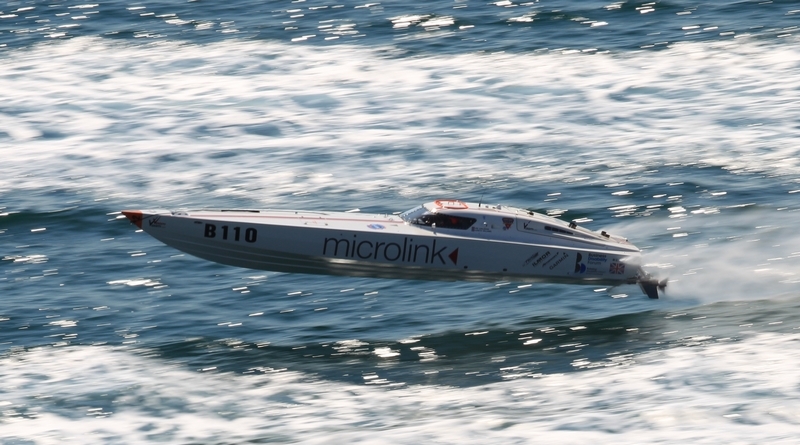 Vee Ganjavian and Gareth Williams have entered Microlink PC, an Ilmor powered, Phantom USA – Will Smith hull. The 2012 Cowes Torquay Cowes winners averaged 68.08 mph during an exceptionally rough race. We really would like to have a rough race this year, we can’t stay with the Marathon Class A boats due to their greater horsepower, but rougher seas will be a great leveller.